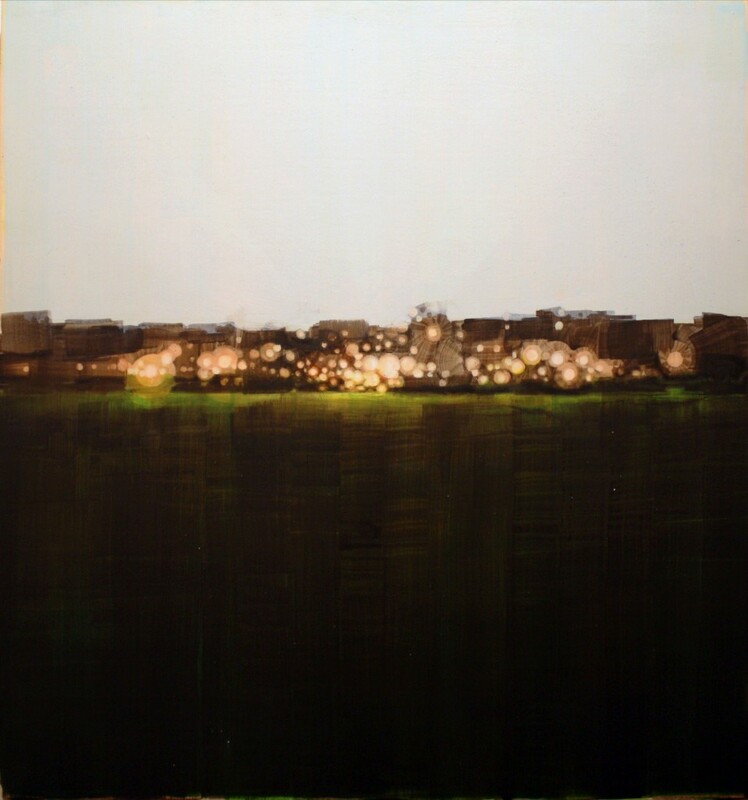 With art that at once evokes the idealization of American suburbia and reveals the frailty of middle class desires, Megan Berk creates paintings and prints with a darkly subtle beauty. Born in Los Angeles, Berk currently works out of Red Hook, Brooklyn. In 2001, she earned her Bachelor of Arts from New York University, and in 2008, she graduated with a Master of Fine Arts from Pratt Institute. She has exhibited widely in the greater New York City area, including at Silas Marder Gallery, Bowman / Bloom Gallery, BWAC, Brenda Taylor Gallery, the New York City Affordable Art Fair, and the German House at the German Consulate General. Berk inaugurated RAC and kicked off Recession Art’s solo shows with Weird Party on the Other Side of the Hedge, a show that explores the impulse towards heaven. In abstracted landscapes and altered architectural spaces, a sort of bright beyond is suggested where light meets shadow. These moments of possibility allude as much to the idea of heaven as they might to an idealized future, the idea of Summer before it has arrived, or the improbable optimism that drives creative progress. They seek to transform moments of desire, self-delusion, and optimism into form and color; In this way, they echo religious painting, though the icons here are taken from the glossy pages of architecture and lifestyle magazines.